Adrian Wojnarowski and ESPN, a match made in hype heaven. Adrian Wojnarowski gets more scoops than any other NBA reporter. He’ll make the ESPN hype machine even more terrifyingly powerful. On Wednesday, Yahoo’s Adrian Wojnarowski tweeted out some cataclysmic NBA news. This was a blockbuster move—the Los Angeles Clippers’ stellar point guard signing up to play with recent MVP runner-up James Harden—a transaction huge enough that it may affect which team loses to the Golden State Warriors in next year’s conference finals. If you read the replies to Wojnarowski’s tweet, though, one of the biggest NBA trades in years seems secondary—overshadowed by the man who broke the story. In the parlance of NBA Twitter, Wojnarowski dropped a “Woj bomb,” hence the deployment of mushroom cloud GIFs. In his 10 years at Yahoo—the company gave Wojnarowski his own website, the Vertical, in 2016—the NBA reporter built a reputation as the basketball world’s Eye of Providence, a mysterious, all-seeing entity who breaks news with terrifying speed and accuracy. On Saturday, Wojnarowski will be joining ESPN, a move that coincides with (and in certain exceedingly nerdy circles perhaps overshadows) the start of the NBA’s free agency period. For years, his identity has been wrapped up in the fact that he doesn’t work for the Worldwide Leader in Sports. He’s been known to pick at ESPN in his columns, sometimes referring to them as an unnamed “cable sports company.” His defection to the world’s most powerful sports media company at once feels surprising and inevitable. It’s a marriage of questionable harmony but undoubtable impact, the equivalent of hiring a T. rex to hem your pants. 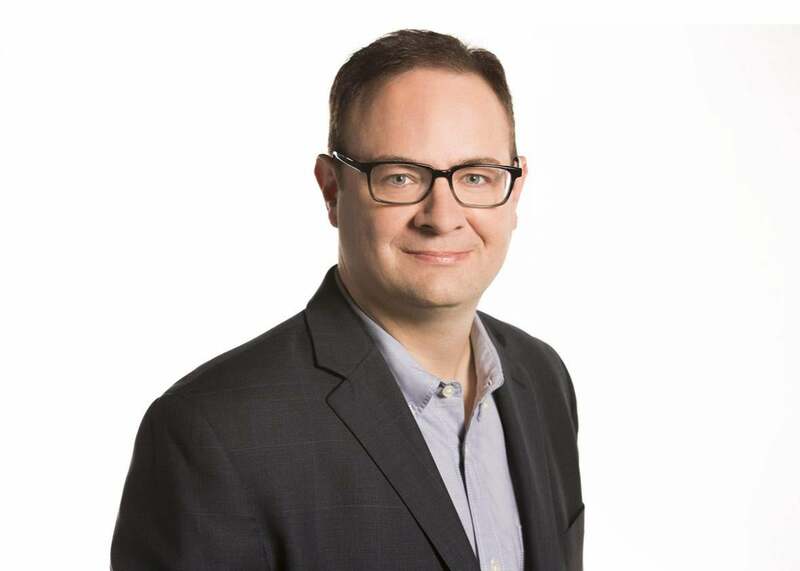 In his tenure at Yahoo, Wojnarowski has been a one-man wrecking crew, often out-scooping the world’s sports media hydra on the strength of his connections and unparalleled ability to type with his thumbs. Earlier this week, in his last days at the Vertical, he broke the news that Jeff Van Gundy—who works for ESPN—will be coaching USA Basketball’s World Cup qualifying team. Wojnarowski’s unique ability to delight his fans and bedevil his rivals has been most evident during the NBA draft, when he managed to report, via Twitter, the upcoming selections well before they’re announced on ESPN’s live broadcast. The fact that one guy could ruin the drama and pageantry of a manicured television event infuriated ESPN execs and undoubtedly contributed to the company’s decision to make him an offer he couldn’t refuse. In tandem with Wojnarowski’s hiring, ESPN laid off a number of talented NBA reporters, many of whom covered individual teams and contributed postgame recaps and analysis. They also terminated Marc Stein, who has long been Wojnarowski’s biggest competitor. Stein is a prodigious reporter in his own right, and many within the company have expressed dismay at his departure. Given that it seems like the network is shifting toward breaking news and scoops, there’s only one logical explanation for laying off Stein: ESPN’s suits feel it’s important to have Wojnarowski be the unquestioned leader of their NBA scoop machine. If you’re looking for an explanation for why that might be, you should ask someone who has better sources than I do. ESPN has been built to trim every last edible bit from a story, and with basketball’s greatest rumormonger and scoop-getter at its disposal, there’s no telling what the Worldwide Leader will now be capable of. My best guess is it will look a lot like what Gustavus Swift did to cows back in the 19th century. Swift owned and operated one of the largest slaughterhouses in Chicago, but selling salted pork scraps wasn’t enough for him. In the late 1800s, the market demanded fresh beef, which meant cattle were shipped live to Eastern population centers where they would be butchered and sold after transit. Swift had a nose for inefficiency, and he got a great whiff of it with each and every steer-filled boxcar that passed through Chicago on its way east. If his company could somehow slaughter and butcher the beef in Chicago, he’d be able to expand his operation while more efficiently meeting demand. To facilitate this, Swift hired an engineer to design a refrigerated train car that could ship dressed meat over long distances without sacrificing freshness. The Swift-owned cars were loaded with ice in Wisconsin, packed with beef at Swift’s Chicago slaughterhouse, and then sent east and sold for maximum profit. The supply process was so efficient and direct, a side of beef in the freezer of a New York wholesaler would hang off the same hook as the cow from which it was cut back in Chicago weeks prior. It is perhaps a bit on the nose that the process Swift pioneered is known as “vertical integration.” The man ESPN lured from the Vertical will provide the grist for a never-ending mill of debate shows, news programs, and interview segments. The Wall Street Journal recently reported that the NBA receives as much attention on Twitter during summer free agency as it does during the regular season. ESPN is counting on its ability to grab that attention by harnessing the multikiloton power of the Woj bomb. Consider, though, that the two biggest NBA stories of the past five years—LeBron James’ return to Cleveland and Kevin Durant’s move to Golden State—got broken via personal essays published in Sports Illustrated and the Players’ Tribune respectively, not via reporters on Twitter. If a player is savvy enough, he can circumvent the scoop machine and take ownership of his own breaking news, Adrian Wojnarowski be damned.